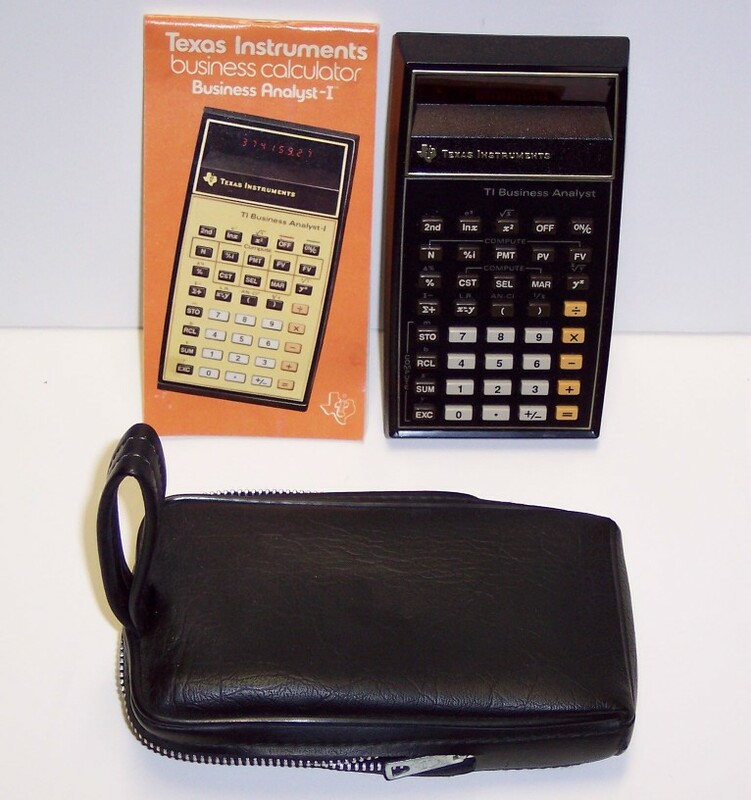 Click for larger photo Source: Personal Collection Texas Business Analyst Calculator Texas Business Analyst Calculator in good condition. 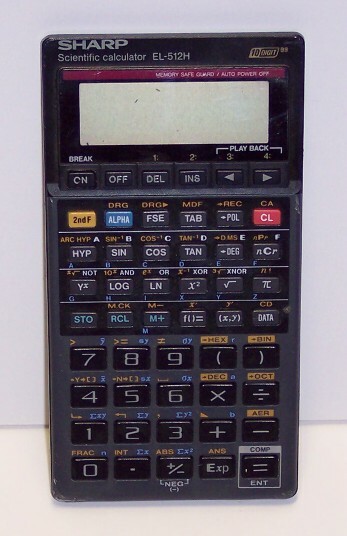 Here is a additional information on this calculator at this Wikipedia webpage. 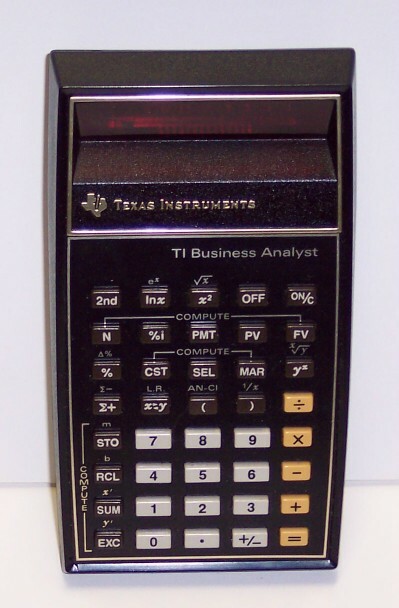 Click for larger photo Source: Personal Collection Texas Instruments Business Calculator Texas Instruments Business Calculator. 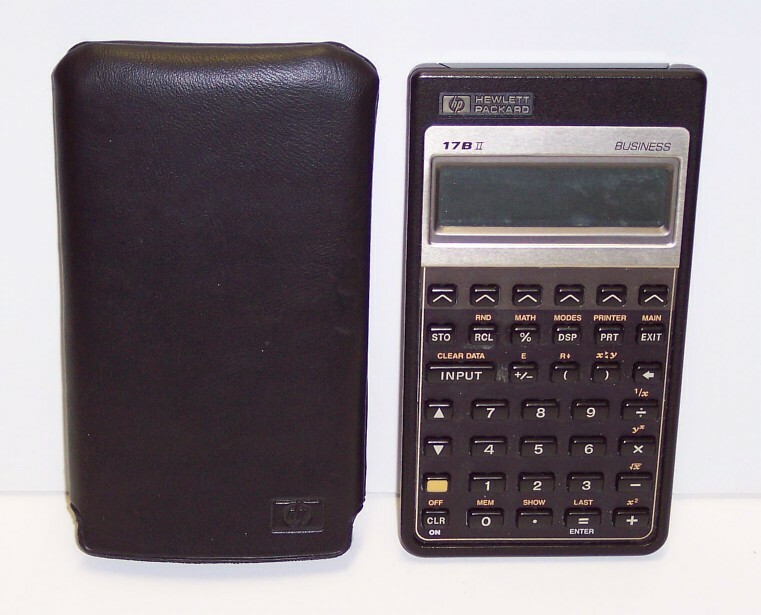 Click for larger photo Source: Personal Collection Texas Instruments SR50 This particular Texas Instruments SR50 calculator is in excellent condition. 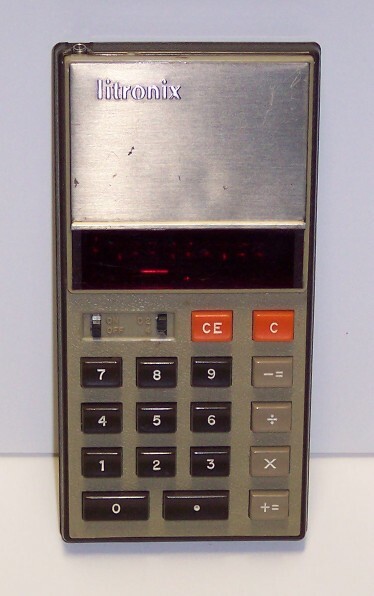 Here is additional info on this calculator at this Wikipedia webpage. There's also this excellent reference webpage as well. 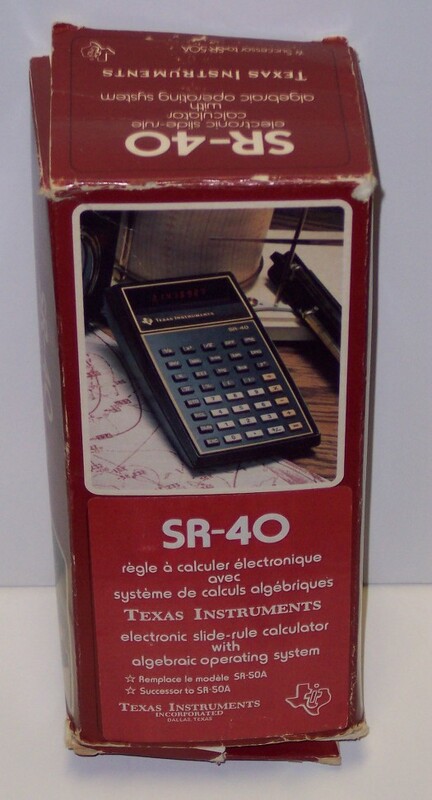 Click for larger photo Source: Personal Collection Texas Instruments SR40 Texas Instruments SR-40 with photo of its original box. 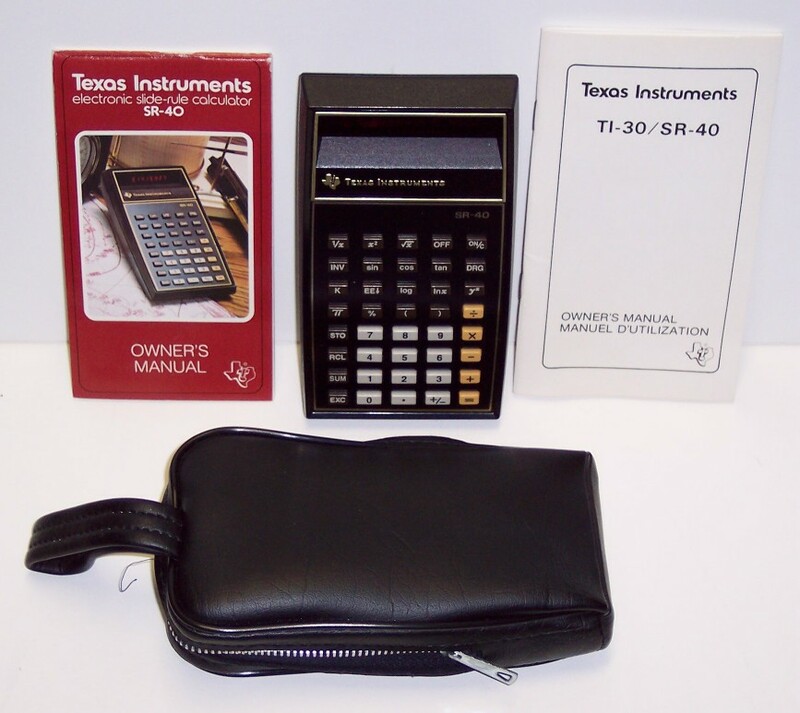 Click for larger photo Source: Personal Collection Texas Instruments TI-35 Texas Instruments TI-35. 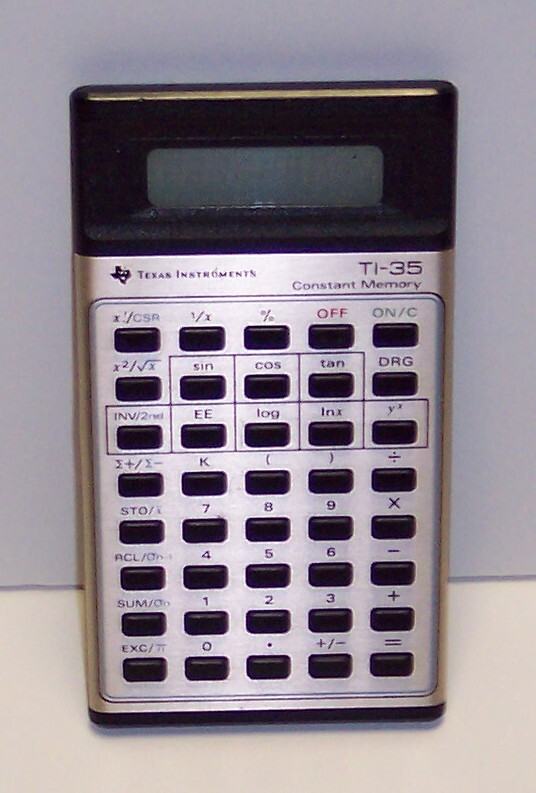 Click for larger photo Source: Personal Collection Texas Instruments Programmable 57 Texas Instruments Programmable 57. 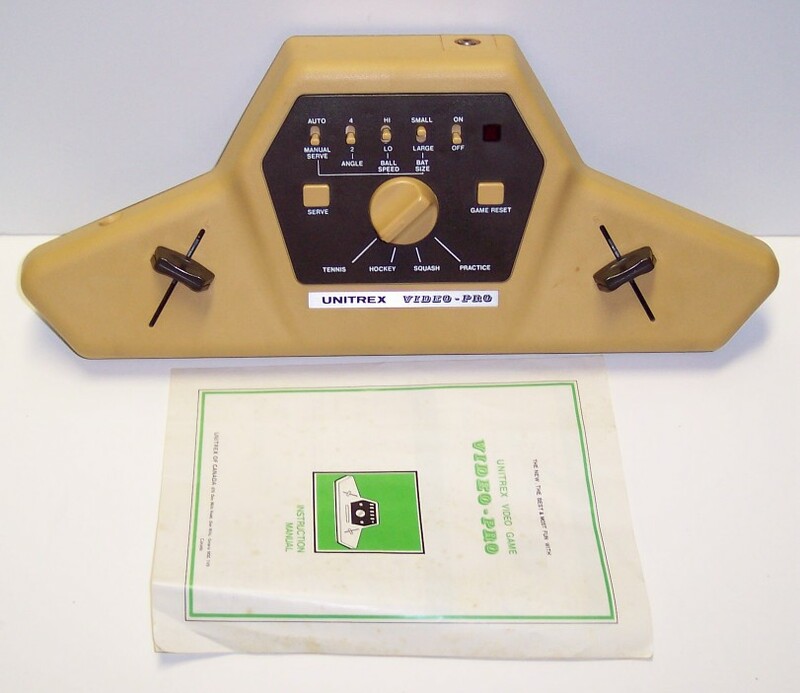 Click for larger photo Source: Personal Collection Unitrex Model 8420 Unitrex Model 8420. 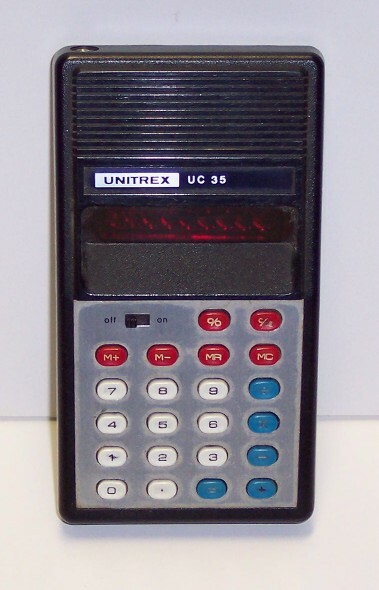 Click for larger photo Source: Personal Collection Unitrex Model UC35 Unitrex Model UC35. 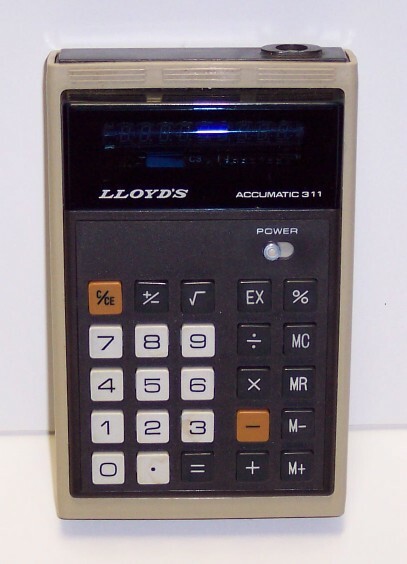 Click for larger photo Source: Personal Collection Lloyd's Model 311 Lloyd's Model 311. 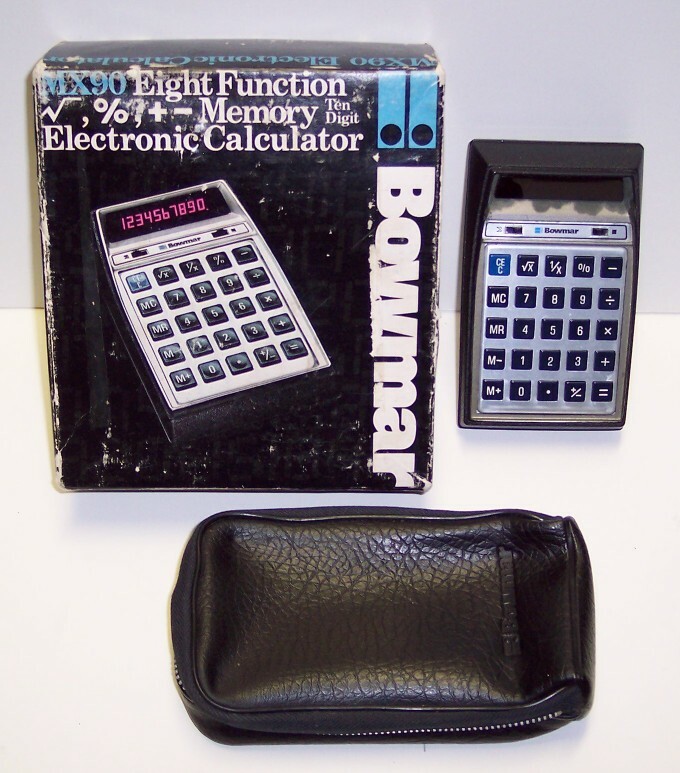 Click for larger photo Source: Personal Collection Bowmar Pocket Calculator Model MX90 Bowmar Pocket Calculator Model MX90. 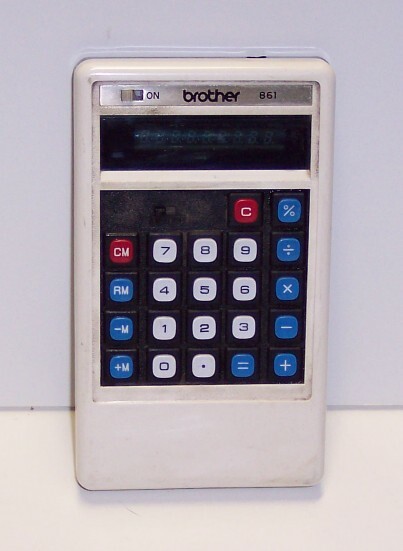 Click for larger photo Source: Personal Collection Brother Pocket Calculator Model 861 Brother Pocket Calculator Model 861. 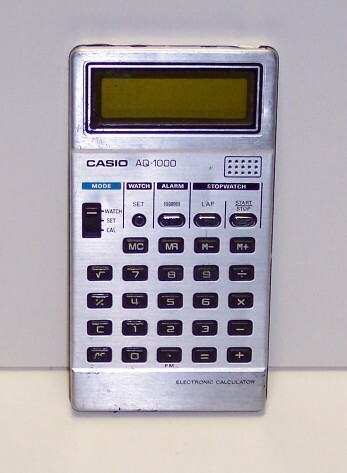 Click for larger photo Source: Personal Collection Casio Pocket Calculator Model AQ-1000 Casio Pocket Calculator Model AQ-1000. 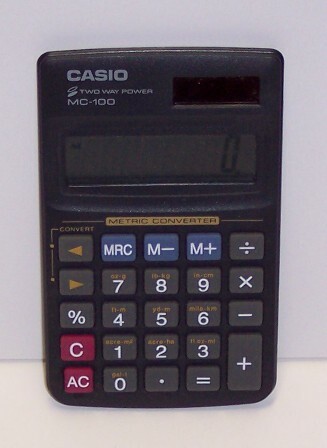 Click for larger photo Source: Personal Collection Casio Pocket Calculator Model MC-100 Casio Pocket Calculator Model MC-100. 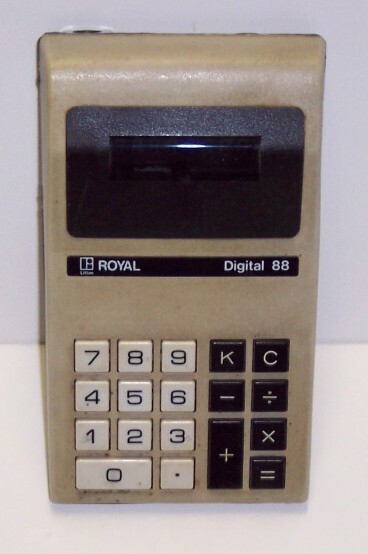 Click for larger photo Source: Personal Collection Royal Digital Model 88 Royal Digital Model 88. 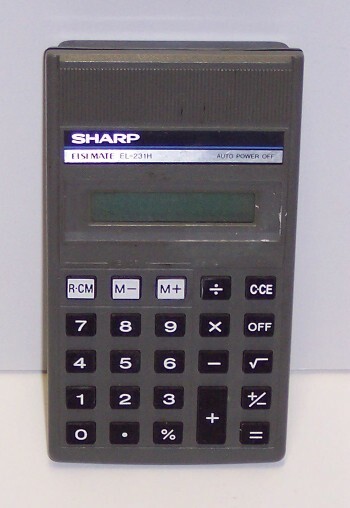 Click for larger photo Source: Personal Collection Sharp Model EL512H Sharp Model EL512H. 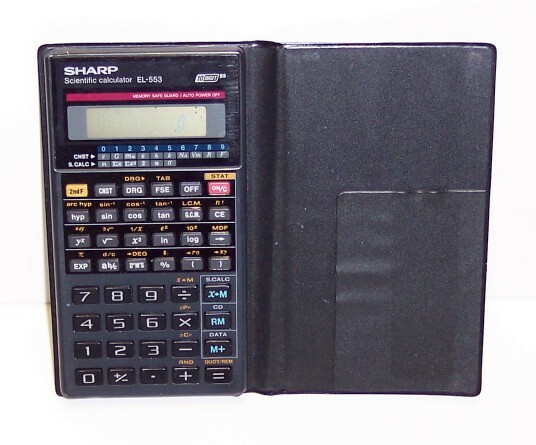 Click for larger photo Source: Personal Collection Sharp Model EL-553 Sharp Model EL-553. 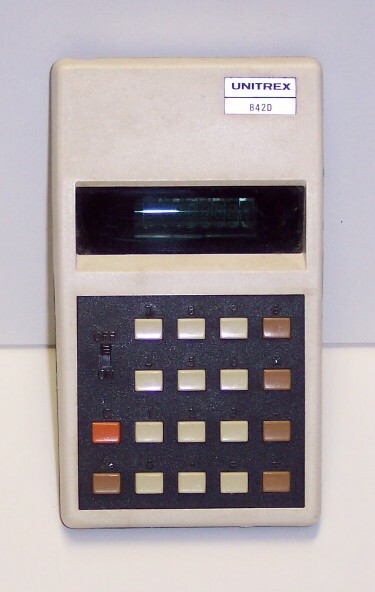 Click for larger photo Source: Personal Collection Hewlett-Packard Pocket Calculator HP-21 Hewlett-Packard Pocket Calculator HP-21. 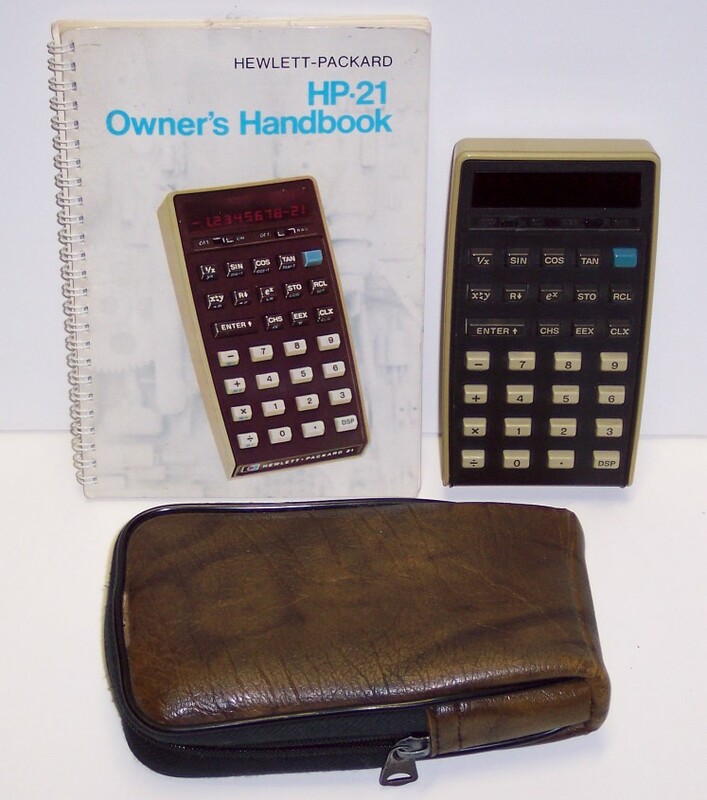 Click for larger photo Source: Personal Collection HP Business Calculator Model 17BII Hewlett-Packard Business Calculator Model 17BII. 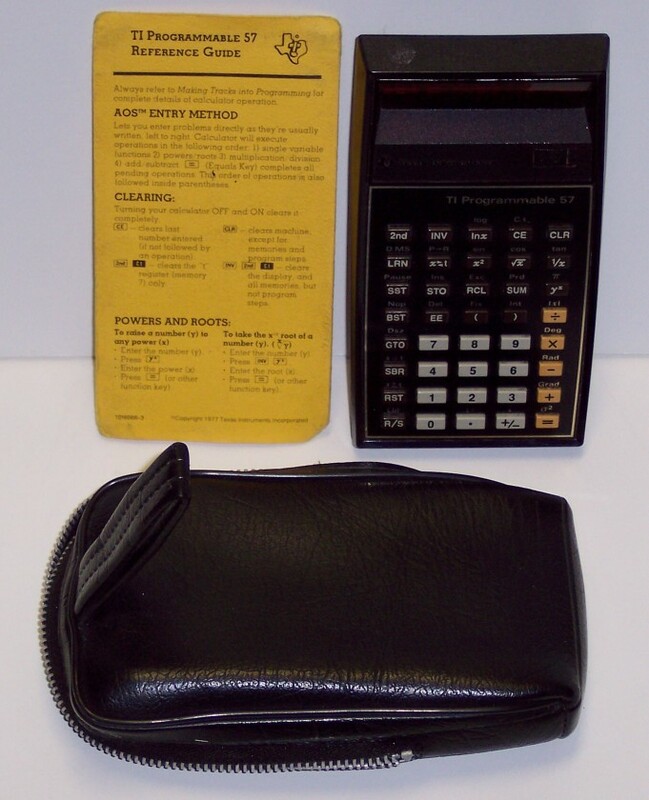 Click for larger photo Source: Personal Collection Litronix Pocket Calculator Litronix Pocket Calculator. 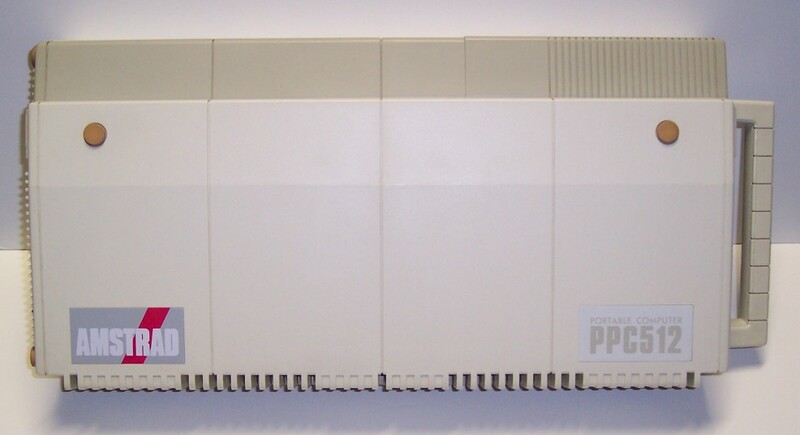 Click for larger photo Source: Personal Collection National SemiConductor Model 835 National SemiConductor Model 835. 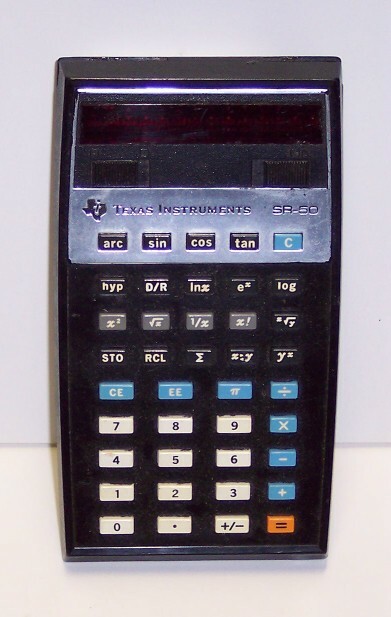 Click for larger photo Source: Personal Collection Sharp Model CL-231H Sharp Model CL-231H. 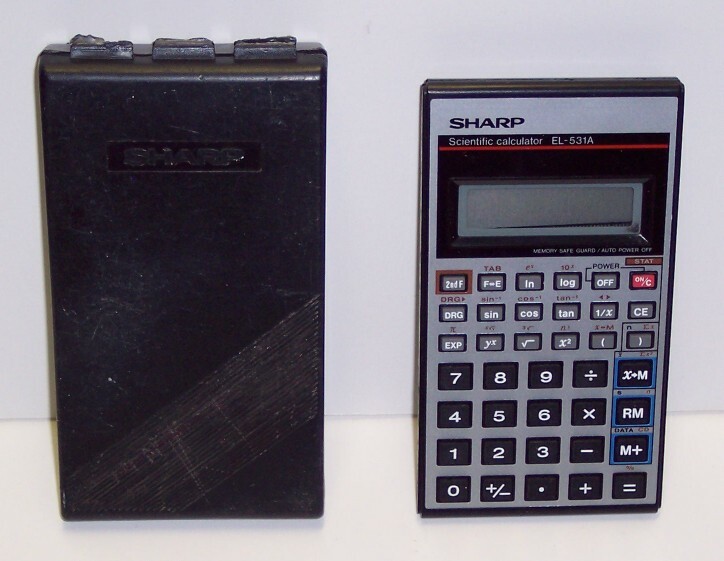 Click for larger photo Source: Personal Collection Sharp Model EL-531A Sharp Model EL-531A. 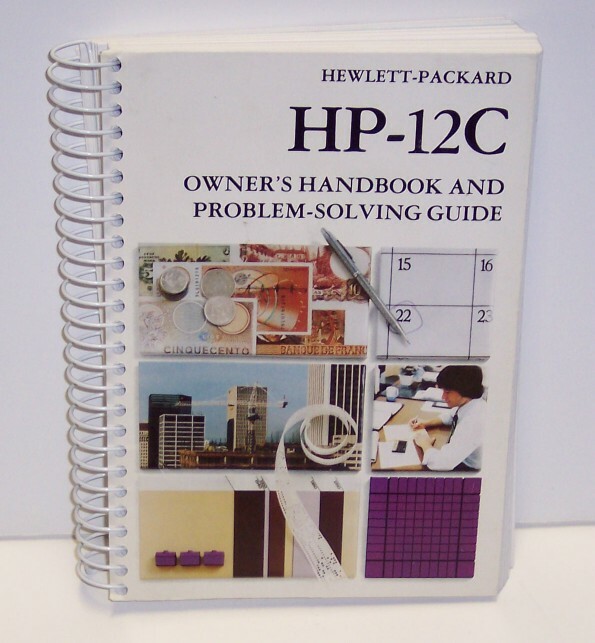 Click for larger photo Source: Personal Collection Manual for HP-12C Manual for HP-12C in good condition. 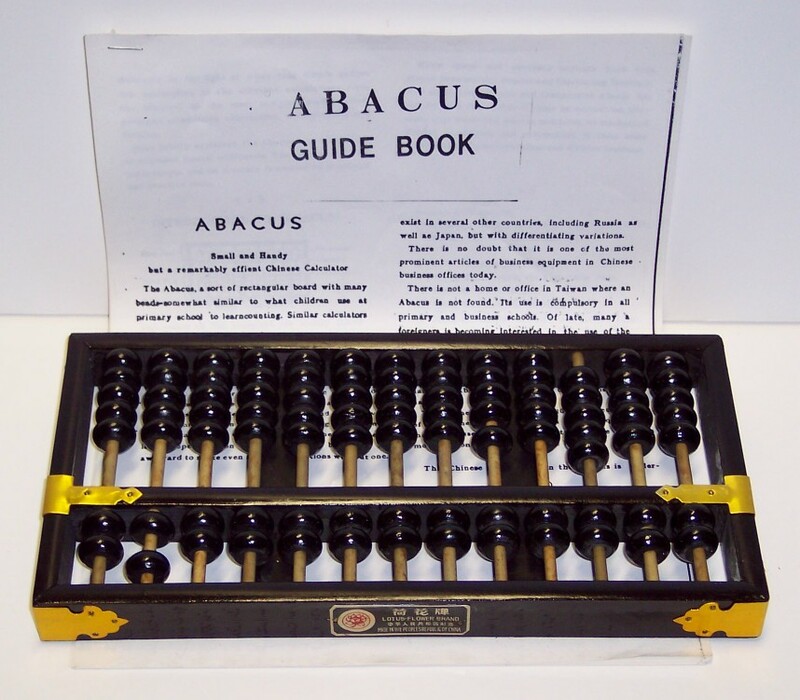 Click for larger photo Source: Personal Collection Abacus with Instructions Abacus with Instructions in excellent condition. 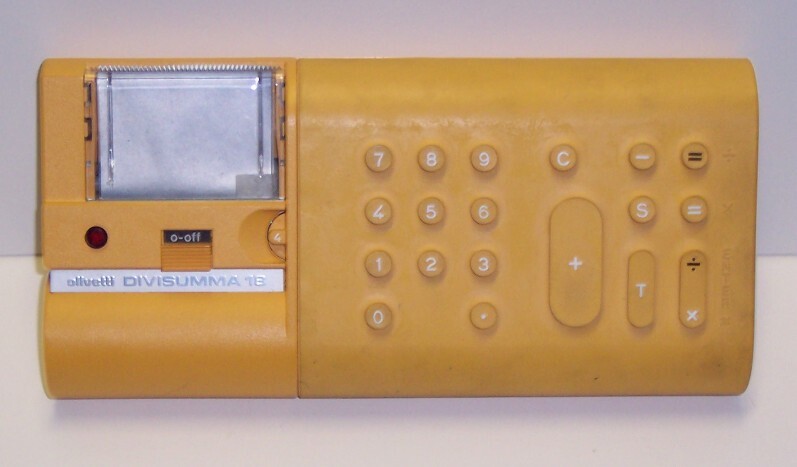 Click for larger photo Source: Personal Collection Slide Rule Accumath No 400 Slide Rule Accumath No 400 in good condition. Click for larger photo Source: Personal Collection Generic Slide Rule Generic Slide Rule. 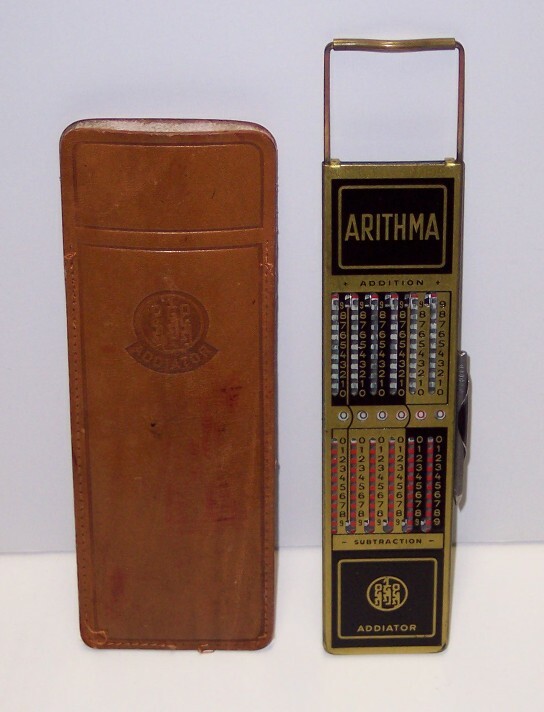 Click for larger photo Source: Personal Collection Vintage Arithma Calculator Vintage Arithma Calculator with cursor by Addiator. 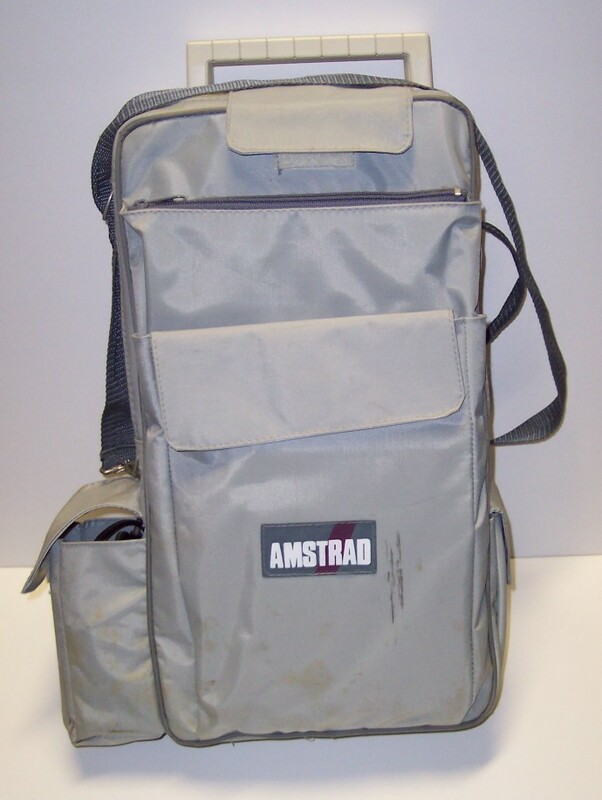 Click for larger photo Source: Personal Collection Early Portable PC Amstrad PPC512 Amstrad PPC512 Early Portable Computer - Photos of unit closed and in its carry bag. 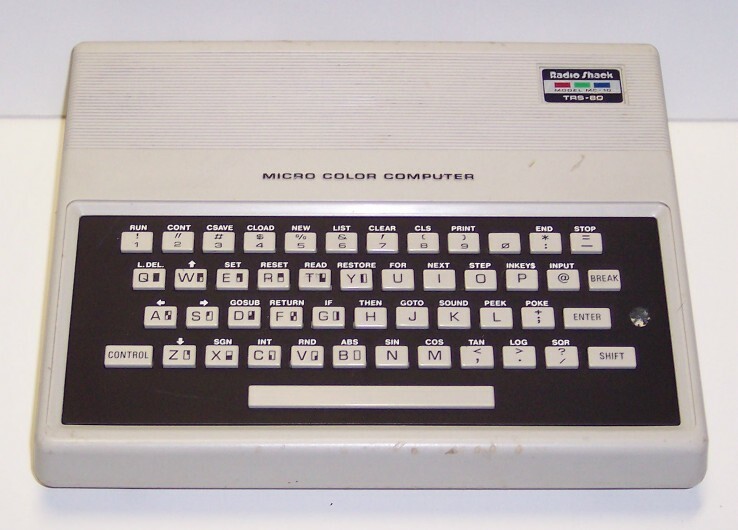 Click for larger photo Source: Personal Collection Olivetti Divisumma-1B Olivetti Divisumma-1B. 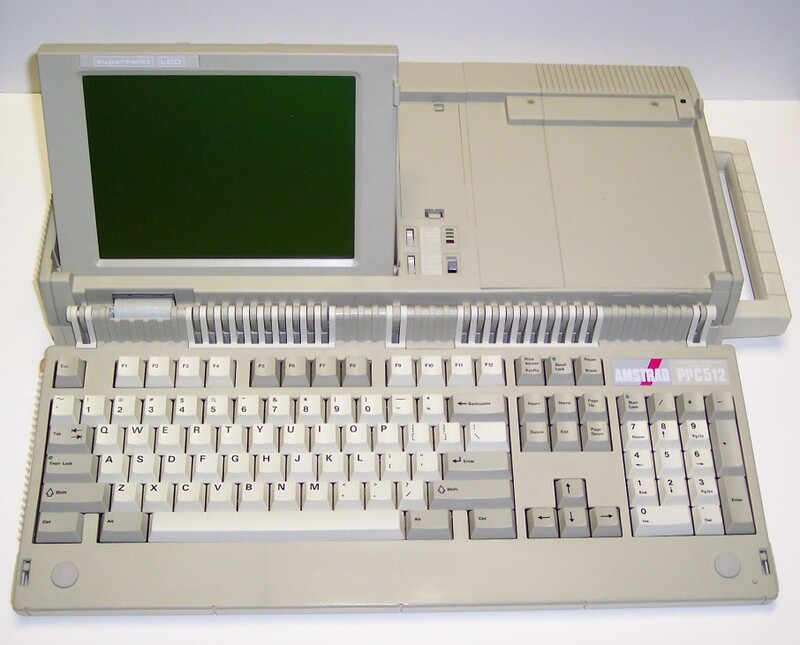 Click for larger photo Source: Personal Collection RadioShack-TRS80 RadioShack-TRS80 (affectionately referenced at times as the "Trash-80"). Click for larger photo Source: Personal Collection Watch Calculator Watch Calculator. 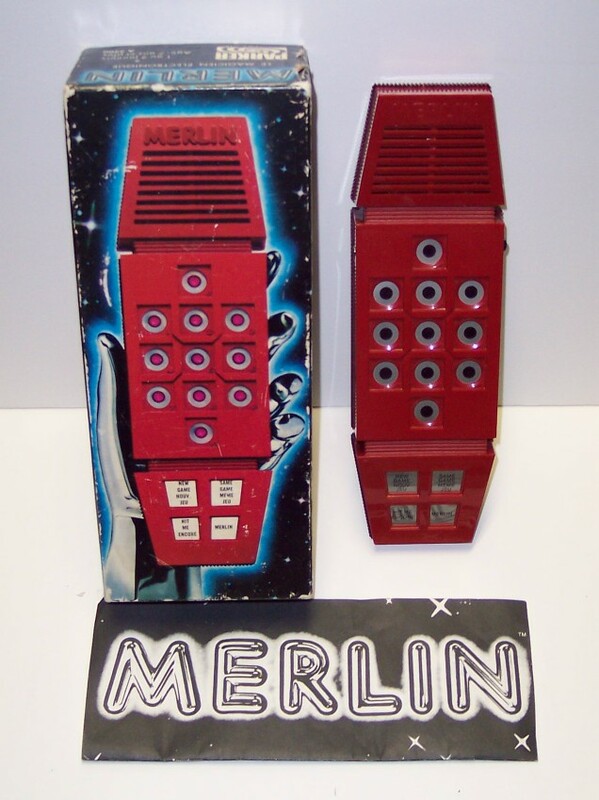 Click for larger photo Source: Personal Collection Merlin Electronic Game Merlin Electronic Game. 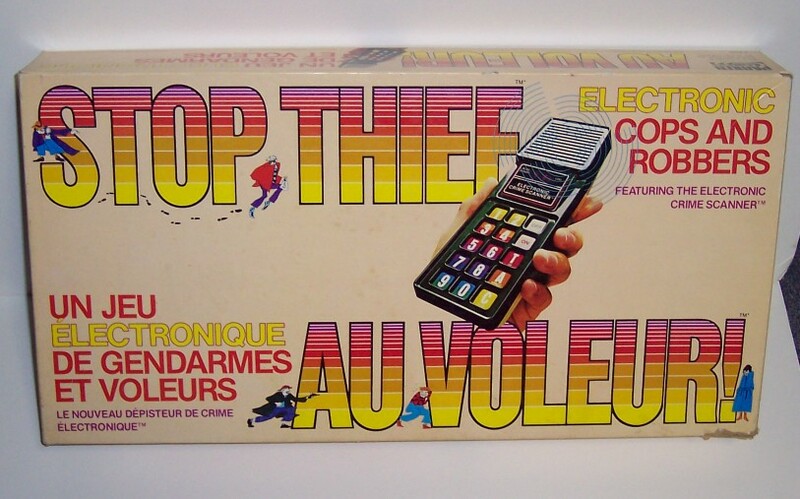 Click for larger photo Source: Personal Collection Stop Thief Electronic Game Stop Thief Electronic Game. 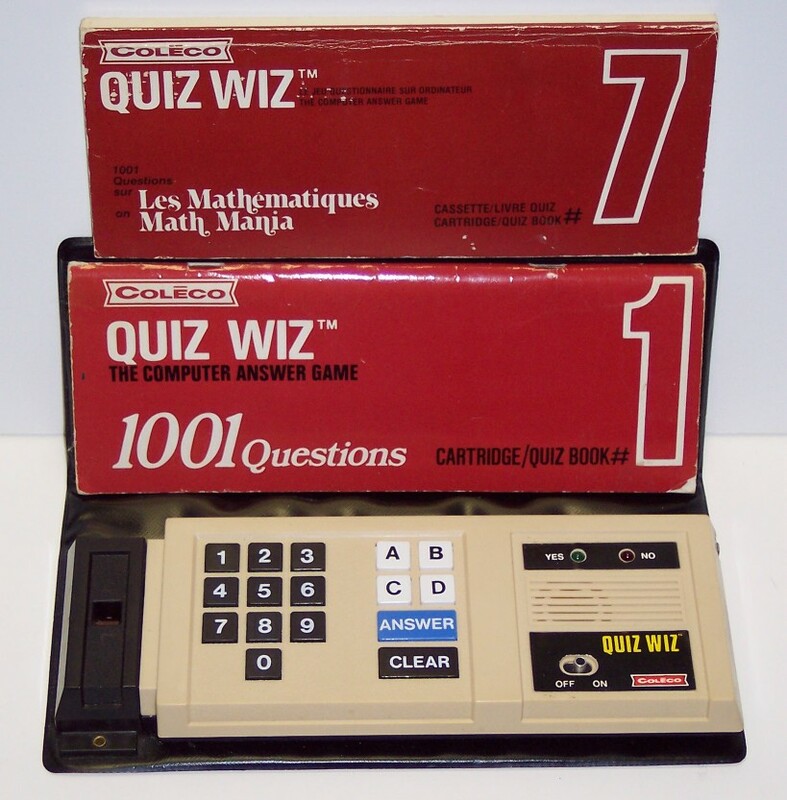 Click for larger photo Source: Personal Collection Coleco Quiz Wiz Electronic Game Coleco Quiz Wiz Electronic Game. 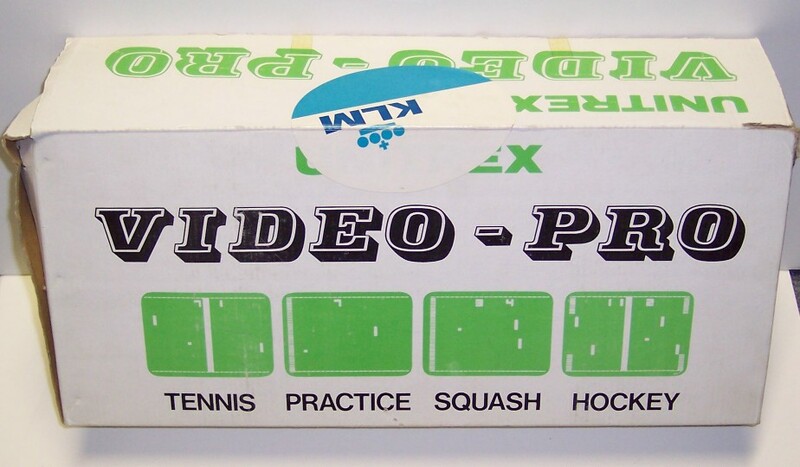 Click for larger photo Source: Personal Collection Unitrex Video Pro Electronic Game Unitrex Video Pro Electronic Game - Photos of original box. 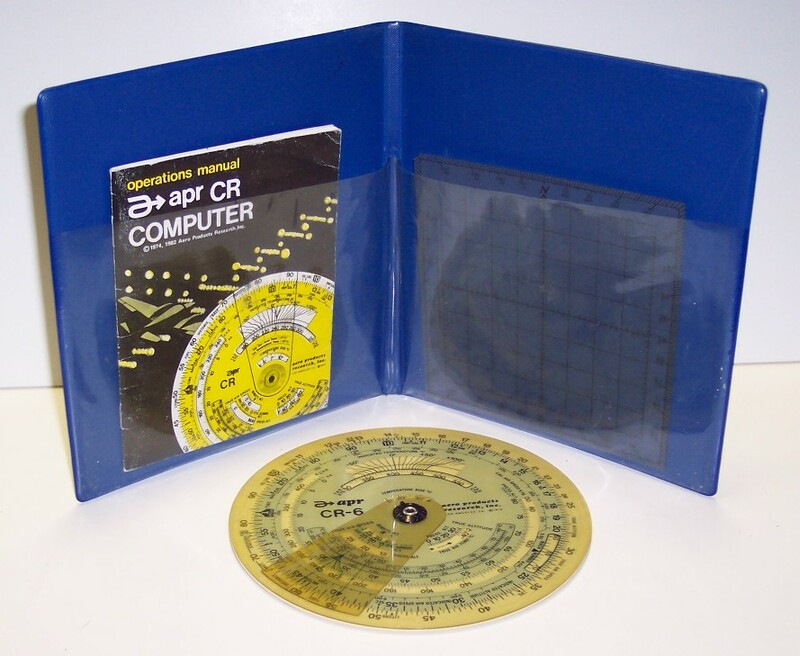 Click for larger photo Source: Personal Collection Air Navigational Calculator APR CR-6 Air Navigational Calculator APR CR-6 complete with vinyl wallet and manual. 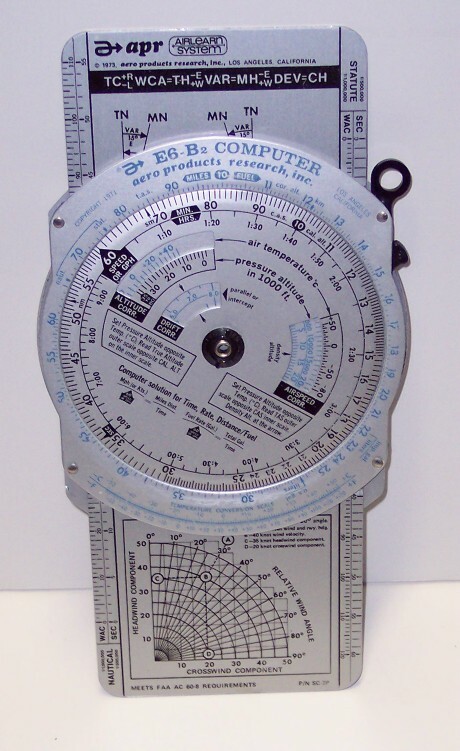 Click for larger photo Source: Personal Collection Air Navigational Calculator APR E6-B Air Navigational Calculator APR E6-B.